easily create data visualisations and dashboards to inform planning. The intuitive drag-and-drop software is easy to use - it takes minutes to create interactive visualisations and dashboards to reveal the insights you need. You can create competitor groups to benchmark against and choose from different metrics and filters to suit your needs. You’ll also find ready-made dashboards to help you plan around sector challenges. Make the most of reliable information - quality-assured by our data specialists. Heidi Plus provides access to extensive and current UK HE data. It includes up to 10 years of the most recent data, updated on a regular basis, so you can rest assured that you’re gaining the newest insights to inform your decisions. From January 2018 all HESA alternative provider and HE provider subscribers have access to both the AP and HE provider Student and DLHE records. Alternative providers may upgrade this offering to the full Heidi Plus service. Heidi Plus is delivered through Tableau Server – a five-times Gartner Magic Quadrant Leader (2017) for Business Intelligence and Analytics Platforms. You can access data from wherever you are and extend licences across your organisation to support an integrated approach to your business intelligence. 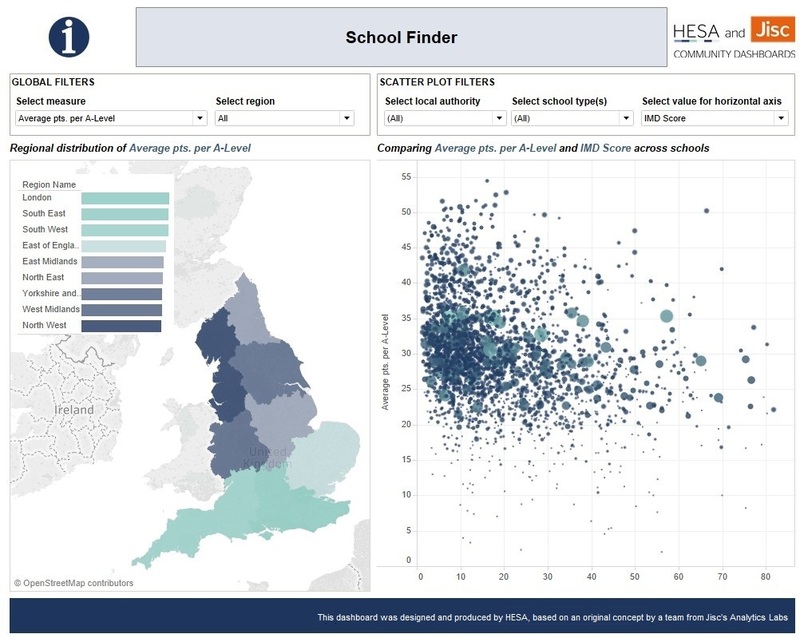 HESA has launched Community Dashboards, a new service within Heidi Plus that enables the higher education (HE) sector to access interactive visualisations of HE data, based on original concepts from Jisc’s Analytics Labs. Jisc’s Analytics Labs, brings together a range of staff from HE, drawing on their strengths and experiences, to provide business intelligence for current questions and planning. The initiative enables data visualisations to be developed by the UK HE sector, for current questionsand planning. The iniative enables data visualisations to be developed by the UK HE sector, for the sector. Community Dashboards cover topics such as student recruitment, destinations of leavers, postgraduate research analysis, and identifying new benchmarking groups - all produced with striking graphics. HESA's Customer Success team can answer your general user queries and the training team offers a range of training courses that suit all levels of Heidi Plus experiences and specialisms, throughout the year. Check out our FAQs to find out more about the three packages we offer, different licence types and costs. We know you'll still have questions. So get in touch today and we'll talk you through whatever you want to know and can also provide a Heidi Plus demo.